· Student artists could be challenged to design posters or *TV Screens to promote Peace Festival events – within school and beyond. · Create some Flower Power for Peace – invite students to bring in flowers from their garden or create of paper flower extravaganza in a special place that could be set aside for Peace Festival Week. · In collaboration with school/college Visual Art departments, create an exhibition of works [installations, videos, paintings, photographs] revealing students’ representations about peace. [Could be same area as above]. · Think about songs that either convey messages of peace or about music which create a sense of peace. Play and discuss within class groups or to ‘set the scene’ in the above space/s. · Source students and/or staff/community members who know how to create origami paper cranes, widely known as symbols of peace. Create a peace flight path and/or zone. · Host a morning or afternoon tea celebrating peace and goodwill for your school community members – neighbours, supporters, P & F, local aldermen. · Setting up a station for paper crane making – then using these as a feature at college. Hiroshima day is 6th August. · Creating Peace Promises – where the college community take selfies holding up a sign with a pledge of peace and respect #peacepromise #tamarpeacefestival and upload to Facebook and/or Instagram. – make a slide show of the images and show on TVs around college. · Set up a random act of kindness challenge. · Encourage students to leave messages of support and encouragement to each other. · Set aside a space to create a ‘Wall of Peace’ Messages [or Respectful Words Wall using the Values for Australian Schooling (Care and Compassion; Doing Your Best; Fair Go; Freedom; Honest and Trustworthiness; Integrity; Respect; Responsibility; Understanding, Tolerance and Inclusion;) – school community members could be encouraged to write their own or ‘tag’ ones that are most meaningful to them. · School PA or internal radio stations could be used to play well-known peace songs and/or ‘peaceful’ music. 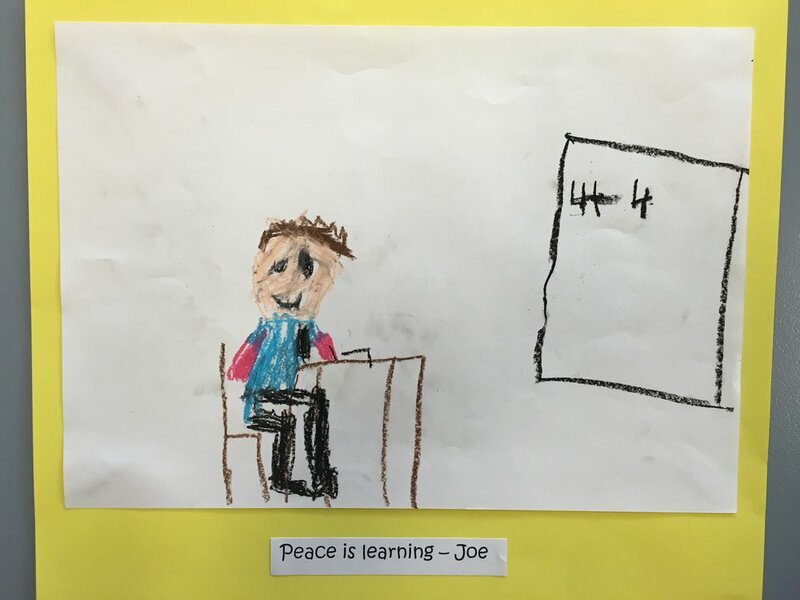 · Some schools have *TV message screens which could be used to promote Peace Festival experiences and/or quotations relating to Peace from renowned individuals who have ‘walked the talk’ of peace.